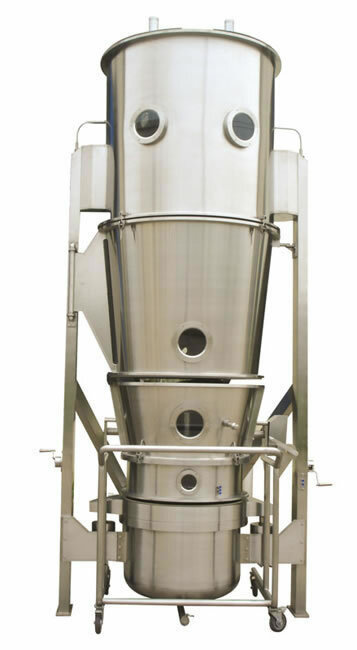 The fluid-bed granulator is a new style of coating equipment that combines spraying technology and fluid-bed coating together. As a result, it can achieve uniform and continuous coating of the product surface. 1. 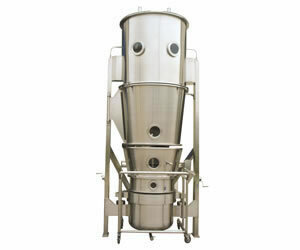 The fluid bed granulator can be used for coloration, taste masking, moisture-proofing, anti-oxidation, heat insulation, and separation coating for powder, granular, and pellet raw materials. 2. Excellent dispersing of the products ensures no adhesion. 3. A short distance to move for spray drying and no coating material loss contribute to a low production cost. 4. The inverted centrum for deceleration and middle round pipe for acceleration make it possible to coat micro-granule, small and large granule, and micro-pellet materials.